It’s amazing what can happen with some words on paper and the stroke of a pen. Passing a bill can help you further your mission exponentially, potentially. I recently worked with an organization that was working on services for houseless people. For years they were “in the trenches” working on services for food, shelter, and health. When they realized they could help pass legislation that would get to the root cause of some of these problems they were excited and surprised. They were under the impression that they weren’t allowed to lobby or advocate. They ended up joining a coalition that passed several pieces of visionary legislation. Advocacy appeals by email have the highest open and click rates. This excites your online base, shows that you’re looking “big picture” on your issues, and will help spirit supporters to donate. People choose to join your email list because they care about the issues you work on. As leaders, we should be tapping into that enthusiasm. Of course you should be constantly making funding appeals, but mix it up a bit — send them an email asking them to send a message to their legislators on a policy issue and update them about how it’s going. Even if your bill doesn’t pass, this type of activity will energize people typically. Better yet, let them choose whether or not to receive advocacy appeals and start to hone your email list between those who want advocacy emails and those who don’t. 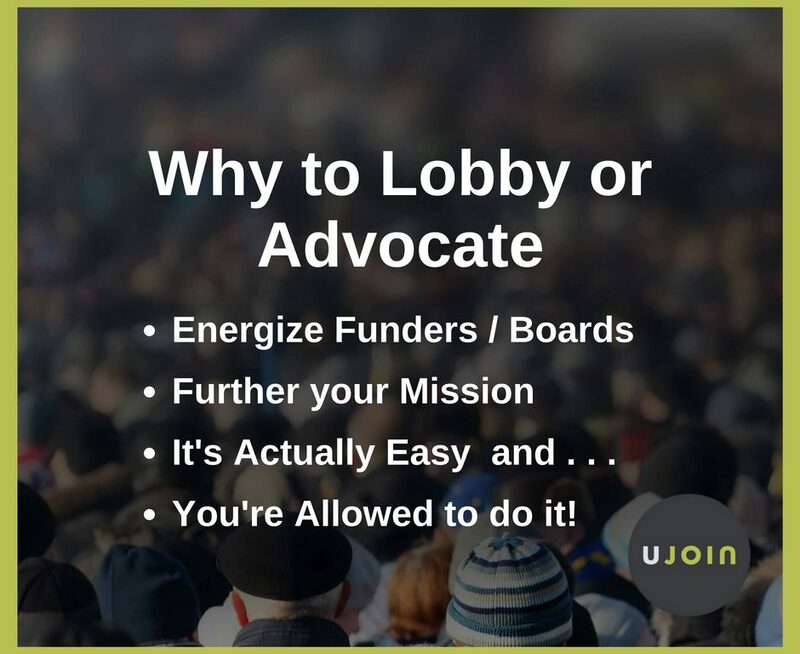 You’ll probably be surprised at how many want to participate in policy advocacy. Contrary to popular belief, almost all 501c3 orgs are allowed to advocate & lobby for legislation. Shed the fear and consult this post if you need to on guidelines.